The dream team of Boca Raton’s SOFA Partners combines the strength and originality of George Ligeti, Paul J. Kilgallon, Manuel and Felipe Vergara. With a keen eye for nabbing the best opportunities, the gentlemen at the helm of SOFA are bolstered by 100 combined years of expertise and experience in a comprehensive range of real estate services. 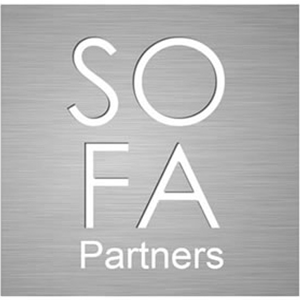 SOFA Partners handle investment, acquisition, construction, leasing, brokerage and management. The underpinnings of high quality construction, timely production, financial stability and inventive design are the pillars that drive our development team. Combined, SOFA’s leaders have developed and managed more than 50 million square feet of space across an impressive breadth of sectors including residential, healthcare and office. Separately, they’ve created Bethesda Hospital West Medical Office Building in Boynton Beach, North 40 Office Park in Boca Raton, and Residences at Broken Sound, among many others. And now, as an all-star group, they bring their expertise to the condos in Delray Beach Florida market. Spearheaded by Miami real estate agent Mayi de la Vega, ONE Sotheby’s International Realty was founded in December 2008. Building on a reputation for emphasizing in amazing customer experience, and a passion for service, qualities that define the Sotheby’s International Realty© brand, the company has now quickly grown to 17 offices between Miami-Dade and Broward Counties with more than 900 top producing agents. ONE Sotheby’s International Realty specializes in the sale of luxury properties in Miami-Dade, Broward and Palm Beach counties. Already recognized as a market share leader in many of these markets. 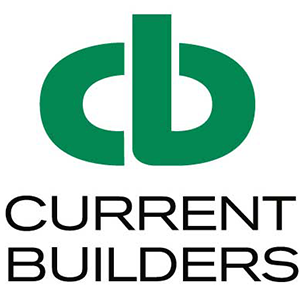 In business for 44 years, Current Builders is ranked by Engineering NewsRecord as Florida’s 21st largest contractor and the 9th largest residential contractor, based on annual revenue. With annual construction volume, more than $150 M, we are a proven organization with the longevity and the resources to deliver projects on time and within budget. Licensed in Florida, Texas, North Carolina, South Carolina, Mississippi and Georgia, and with annual construction volume more than $150 M, we are a proven organization with the longevity and the resources to deliver projects on time and within budget. Regardless of the state or the region, Current Builders’ reputation for construction excellence is unsurpassed. 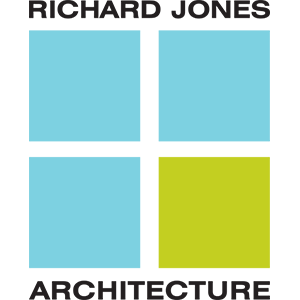 Richard Jones Architecture, a boutique architectural firm located on Atlantic Avenue in Delray Beach, Florida, dedicates emphasis on high-quality design, professionalism, and attention to detail. Featuring the ability to enhance an individuals’ quality of life through the material composition of concrete, wood, steel, and glass, which makes up our built environment. Richard Jones has been a driving force behind condos in Delray Beach Florida and his current projects include SOFA Delray Beach, 111 First Delray Beach, The Metropolitan, Uptown Delray, and SOFA District Office Building. To date, we have successfully built over 40,000 multi-family units, 15 million square feet of office/industrial space and 250,000 square feet of retail. From senior living to student living, village halls and community centers to luxury auto vaults, our project portfolio is comprehensive featuring all building types with 85% of our projects commissioned by existing clients. 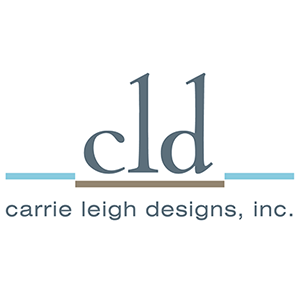 Carrie Leigh Designs, Inc., founded in 2005, is a full-service, licensed interior design firm with projects around the country. Led by award winning Design Director and President, Carrie Leigh Bollella, every project reflects the highest level of style, comfort, and functionality. The firm has a comprehensive understanding in a variety of Design Forums and each project has a unique, one-of-a-kind design. Sklar Furnishings is a luxury furnishings showroom in Boca Raton, Florida, who’s been a committed and active member of the community for the past 15 years. With an extensive selection of European contemporary high end furniture and accessories and an award-winning interior design team, Sklar Furnishings is ready to help you create a look that is uniquely you. Your space, your lifestyle, your choice is our guiding principle. Sklar Furnishings believes no two homes or people are alike which is why its philosophy is all about customization—creating pieces that connect with your style of living. The team of professional interior designers is here to help you sort through the infinite options Sklar has to offer to create the perfect room that fits your needs and decorating style. With over 50,000 options available, Sklar has everything you need: custom window treatments, lighting, millwork, flooring, cabinetry and furniture. They source only the highest quality designer brands from the US and Europe and differentiates itself on an ability to provide customers with dedicated attention from skilled designers for custom results. The Sklar showroom is truly one-of-a-kind, and allows them to focus attention on your interior design goals. Stimulate your imagination and bring your visions to life today. George Ligeti, Principal of The Greenfield Group, brings an extensive array of business and general management experience as well as a thorough knowledge of the construction industry. A registered Professional Engineer, Ligeti has held the positions of Chief Financial Officer and Chief Operating Officer for several companies and holds an MBA from Harvard University with a bachelor’s degree in Civil Engineering from Princeton University. Ligeti’s attention to detail and practicality is second to none. With 30+ years or real estate development experience in South Florida, Ligeti brings extraordinary knowhow and an impeccable track record of success. Mainstreet Capital Partners, a real estate investment and management firm, specializes in office and industrial acquisitions. Established in 1999 by Paul Kilgallon, Mainstreet Capital Partners aligns itself with investment partners by sourcing investment opportunities and acts as the General Partner to complete the transactions. To date, Paul Kilgallon has completed 23 investments totaling $1B with 7 institutional partners and his approach characterizes the investment philosophy the principals of Mainstreet have implemented in 50 years of combined investment experience.